This week, we visit to the good ship Red Dwarf when we take a peek at season 5. Then, we have waited all summer for the return of Doctor Who. Was “Let’s Kill Hitler” worth the wait? 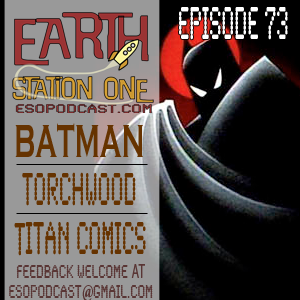 You would think that would be enough for one episode, but the fine folks here at Earth Station One also talk Torchwood: Miracle Day. Join us for an episode we like to call Episode 75: Let’s Kill Hitler! Oh What, I Have to Take a Number? OK. Listen to ESO #75 here, or download this podcast from iTunes. 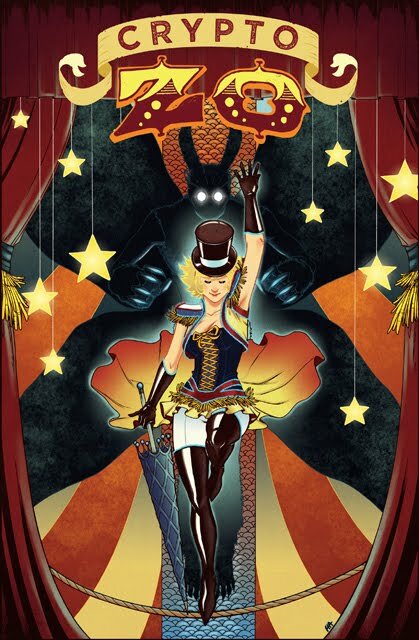 If you're attending Dragon*Con this weekend, make sure you stop by my table (TBL37) in the Comics and Pop Art area of the Hyatt Regency and check out the debut of Crypto Zo - the comic writing debut of William Michael Kielhorn fantastically illustrated by Heidi Arnhold. Join Zoey Zellerman and her family’s travelling Mythical Circus, as they seek out the greatest legendary creatures the world has ever known! The full comic is scheduled for early 2012, but you can get an 8-page preview FREE with any purchase at my table this weekend! William will also be on hand to sign copies! Offer good while supplies last! This week, we have a very special extra long episode lined up for you featuring a preview of the upcoming 25th Dragon*Con to be held in downtown Atlanta, September 2nd through 5th. We will have interviews with directors of various tracks and attendees of the convention, and we also give you hints on how to survive the convention for the first timers. You would think that would be enough for one week, but wait! That’s not all! 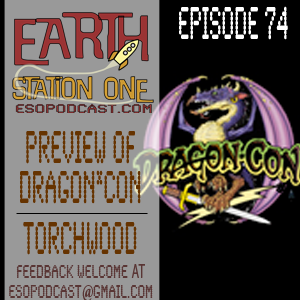 We also talk about the newest episode of Torchwood: Miracle Day. 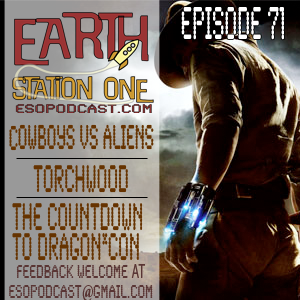 Join us for an episode we like to call Episode 74: It’s time for the ESO Dragon*Con Preview! Listen to ESO #74 here, or download this podcast from iTunes. Dragon*Con's only a week away! One of the biggest events of the year for me and 40,000 of my closest friends is only a week away! 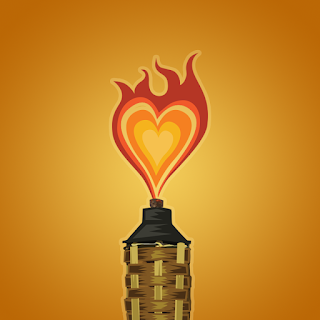 We have spent a lot of time this month interviewing folks about the 25th anniversary of Dragon*Con for the ESO podcast and it has me super excited to be a part of it! I am still unsure of my panel schedule, but most of the time you'll find me at Table #37 at the Grand Hall East of the Hyatt Regency. I have just ordered more copies of Tiki Zombie #1 and will be debuting a FAN-TIKI-TASTIC new poster print at the con! We also will have preview copies of Crypto Zo, a New Legend project written by William Michael Kielhorn with art by Heidi Arnhold! This year's Dragon*Con looks to be the best EVER (and that is saying a lot)! If you are going to the show, please stop by and say "Howdy!" 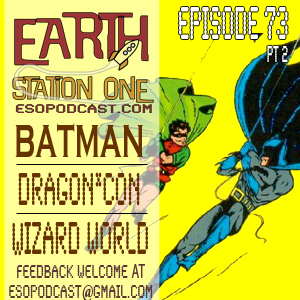 Welcome to the second part of the biggest episode of the Earth Station One podcast ever. For part two of our marathon show, we talk with Bill Jourdain about the Batman of the Golden Age. Then, Bill and Matt regale us with tales of the Chicago Comic Con. But wait! That’s not all! We are joined by Thom Trainor the director of Comics and Pop Art Track at Dragon*Con. Join us for an episode we like to call Episode 73 Part II: – Holy Podcast Batman! That's Right, Chum! ESO Is Going Live Once Again! Listen to ESO #73 Part II here, or download this podcast from iTunes. Welcome to the first part of the biggest episode of the Earth Station One podcast ever. Once again we are on location! This time we were hosted by the fine folks at Titan Comics in Smyrna, GA. In this first part, we visit the dark alleys of Gotham City and talk about the Dark Knight, Batman. But wait! That’s not all! 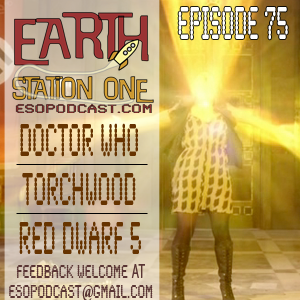 We also talk about the newest episode of Torchwood: Miracle Day. Join us for an episode we like to call Episode 73 Part I: – Holy Podcast Batman! That's Right, Chum! ESO Is Going Live Once Again! Listen to ESO #73 Part I here, or download this podcast from iTunes. 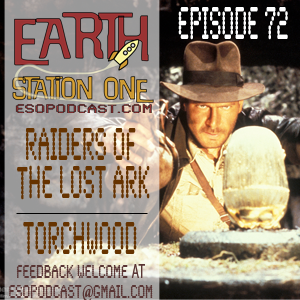 This episode we have a full station as we grab our whips and put on our leather jackets to talk about the classic George Lucas and Steven Spielberg collaboration, Raiders of the Lost Ark and some of it’s sequels. But wait! That’s not all! We also take a peek at the 5th episode of Torchwood: Miracle Day. Join us for an episode we like to call Episode 72: Snakes, Why Did It Have To Be Snakes? Listen to ESO #72 here, or download this podcast from iTunes. Welcome to another episode of the Earth Station One podcast! This week, we get on our spurs and don our Stetsons, ride off into the sunset to fight the scourge of the universe when we review Cowboys & Aliens, and have a round table discussion on our 3 favorite movies featuring alien critters. But wait! That’s not all! We also take a peek at the fourth episode of Torchwood: Miracle Day. This week, we begin our "Countdown to Dragon*Con" and talk to some of the fine folks involved creating such a grand event. This week we have sitting in with us Caro McCully, the director of the Brit Track. Join us for an episode we like to call Episode 71: Mom, This Fuzzy Alien Followed Me Home and Ate the Dog. Can We Keep It? PLEASE!!!! Listen to ESO #71 here, or download this podcast from iTunes.